From building a house and laying roads to mega construction machines, children aged 3+ will enjoy matching the colourful magnetic play pieces to the simple story in this interactive novelty book. 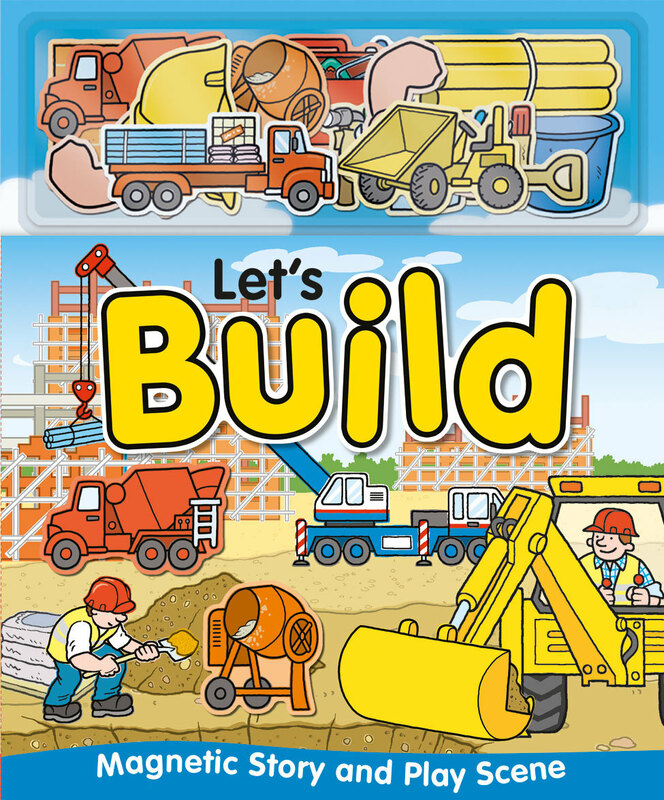 Guide your child through the book as you read the simple sentences and learn all about building workers and vehicles. Then encourage them to find the correct magnets to complete the colourful construction scenes on the magnetic pages. Written by Erin Ranson and illustrated by Barry Green, Magnetic Let's Build will help to develop your child's fine motor skills and hand-eye coordination. When play is over, the magnetic play pieces can be neatly stored in the integral compartment, ready for play the next time. Over 5 million magnetic books in print. Previously an editor at Dorling Kindersley, Suffolk-based Erin has since turned her attentions to copywriting. She particularly enjoys writing for younger audiences, using her love of rhyme to create enjoyable and quirky stories. Erin's favourite hobby is jogging, which she describes as "the best ever cure for writer's block!" Barry Green has illustrated children's books for over 30 years and has been published in more than 60 countries around the world. UK-based Barry is best-known for his 101 How to Draw series which has sold over 3,000,000 copies worldwide.